Hello, My Lovelies! I hope y'all are staying cool. With high nineties and heat indexes over 100, we're spending more time indoors (sadly). Look at the tomatoes! They'll be ripe soon! 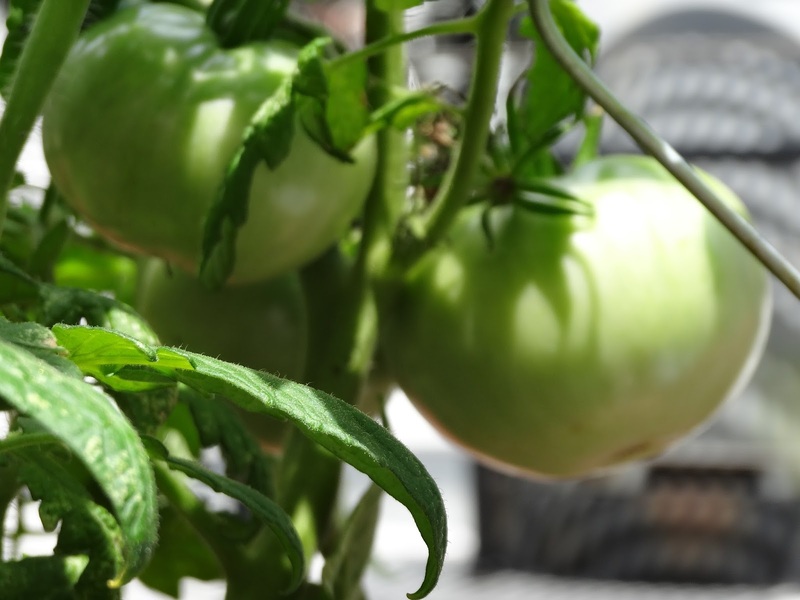 We've been watering everything around our home relentlessly, and I wanted to share a few of our tomatoes with you. Mrs. 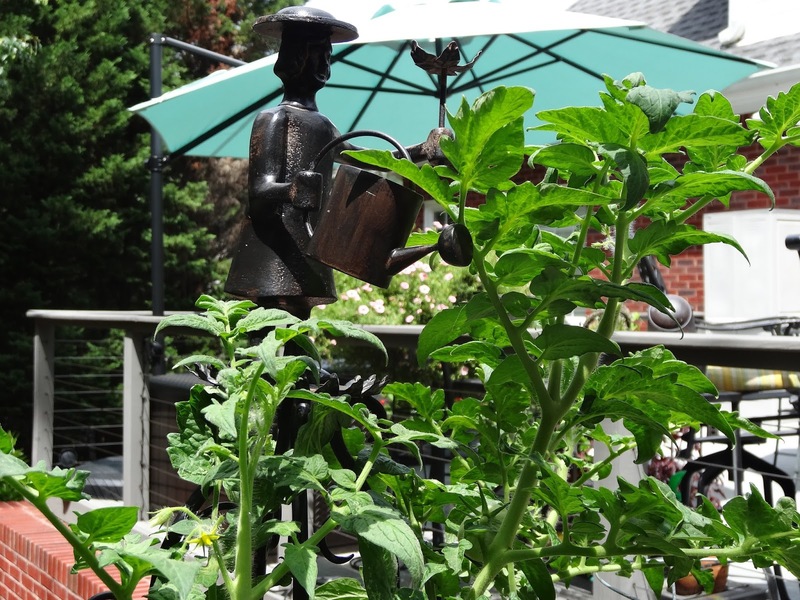 Powers is "watering" our tomato plant. We're growing big boys and creole purple tomatoes. 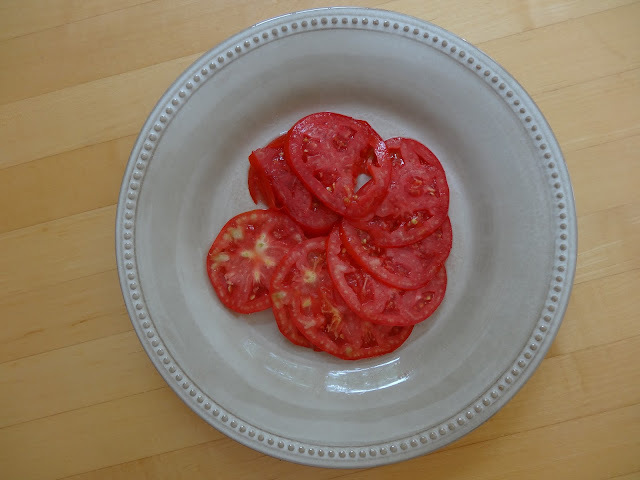 The creole tomatoes aren't ripe yet. Two of our first big boys. Aren't they pretty? 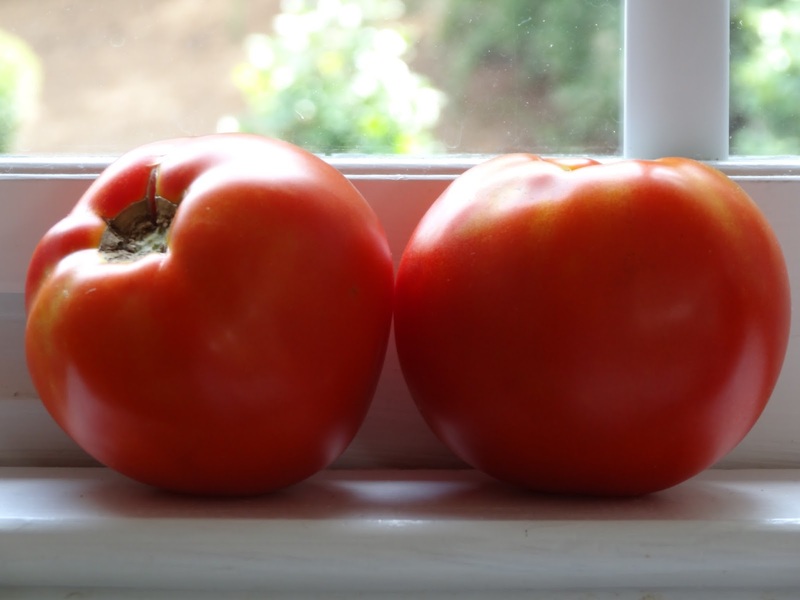 I sliced the tomato thinly for our BLT's. Wash lettuce and stack several lettuce leaves on a plate. 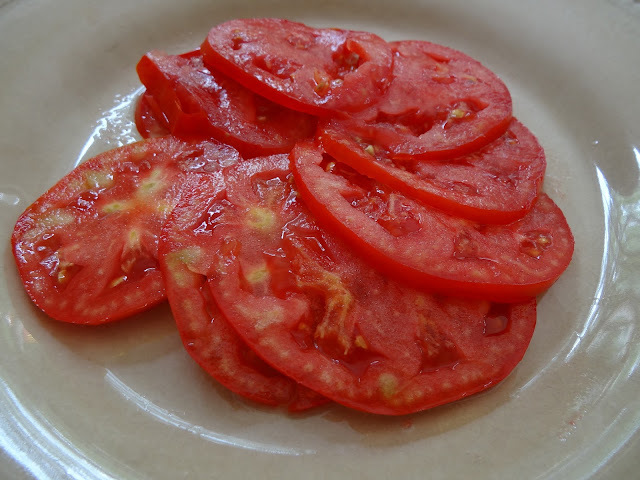 Add sliced tomatoes and sprinkle with salt and pepper. Put a tablespoon of aioli on the tomatoes. Stack more lettuce and add bacon. Put both together and make a sandwich. Easy peasy and yummy! I hope you try this....perfect for summer! This "sandwich" looks like a great idea! I need to cut down on bread and this looks like a great way to do it. Yum and I bet they did taste great with the fresh tomatoes. 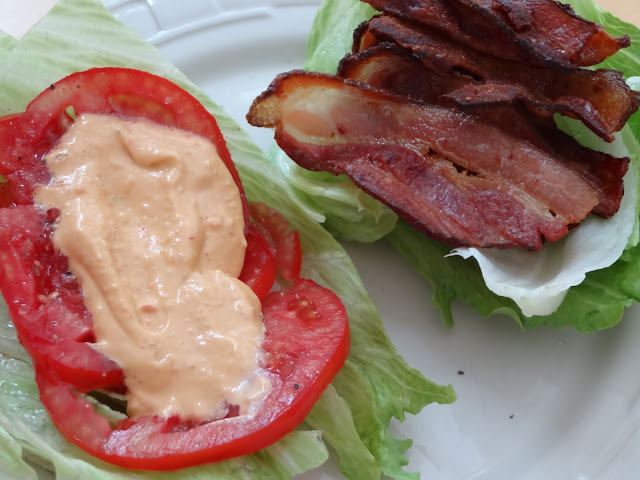 Lettuce wraps with bacon and tomato does not get any better. Have a great day.